This site houses a new engineering facility and sales office, both of which are part of a major investment strategy as the business gears up for further growth. Running alongside AMH’s head office in Halesowen, the new 3512 sq ft facility is the centre for research and development, engineering, assembly and spare parts. 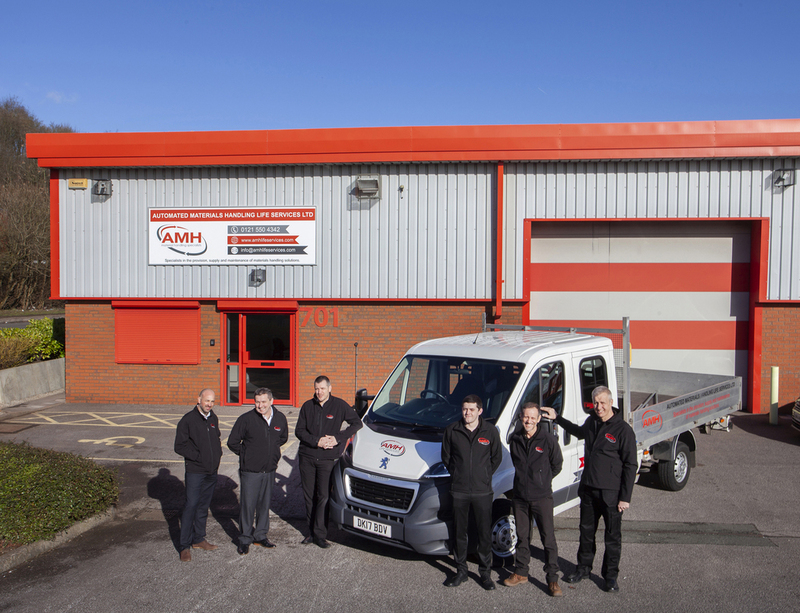 In addition to this, the Stoke-on-Trent site also houses part of the AMH national sales and engineering support team within its new office space. Adrian Carter, projects director at AMH Material Handling explains: “The last few years have been exponentially successful for AMH. We’ve enjoyed several big material handling project wins within the e-commerce, retail, automotive and logistics sectors, over and above the new maintenance contracts we’ve also secured. “As a result, it was important that we expanded the business to accommodate an engineering facility. Halesowen is our office headquarters, but there is no capacity for engineering research and development. “If a customer asks us for a bespoke solution, the Stoke facility provides us with space to build, test and demo prototypes before installation on site. It also provides us with an additional venue in the North West to meet our customers.